January is National Eye Care Month – take the time to test yourself on these common eye care myths. See how much you know about your eyes! “Wearing eyeglasses will cause you to become dependent on them.” FALSE – Eyeglasses are used to correct blurry vision. It may feel as if you are becoming dependent on your eyeglasses because you’re wearing them more often, but you are actually just getting used to seeing clearly. “Eating carrots improves your vision.” FALSE – Carrots are rich in vitamin A which is essential for sight, but many other foods also contain vitamin A. A well-balanced diet – with or without carrots – provides all the necessary vitamin A for good vision. “People with weak eyes should avoid reading fine print.” FALSE – You will not “wear out” your eyes sooner if you read fine print or do a lot of detail work. The eye is not a muscle – it more closely resembles a camera. You can use your eyes without fear of wearing them out. “Older people who gain ‘second sight’ may be developing cataracts.” TRUE – Older individuals who wear eyeglasses sometimes are able to read without their eyeglasses and falsely think their eyesight is improving. The truth is that they are becoming more nearsighted which can be an early sign of cataracts. 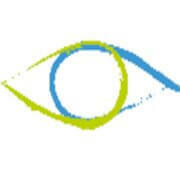 “Children outgrow crossed or misaligned eyes.” FALSE – Children do not outgrow crossed eyes. A child whose eyes are misaligned may develop poor vision because the unused eye will not develop good vision unless it is forced to work, usually by patching the stronger eye. Children who appear to have misaligned eyes should be examined by an ophthalmologist – the earlier misaligned eyes are treated, the better. “A cataract must be ‘ripe’ before it is removed.” FALSE – With today’s modern surgical procedures, a cataract can be removed whenever it begins to interfere with a person’s lifestyle. If you have any concerns with your eyesight including signs of glaucoma, cataracts, misaligned eyes, or any other vision problems, please contact South Georgia Eye Partners today and make an appointment for an eye exam. We look forward to hearing from you! South Georgia Eye Partners – with locations in Valdosta, Tifton & Douglas – specializes in LASIK and cataract surgery with premium lens implants, glaucoma diagnosis and treatment, comprehensive eye exams for adults and children and a Dry Eye Clinic. SGEP also has an Optical Shop fully stocked with designer frames and sunglasses to fit your style and personality. To make an appointment with one of SGEP’s physicians or to find our locations and hours, click here.